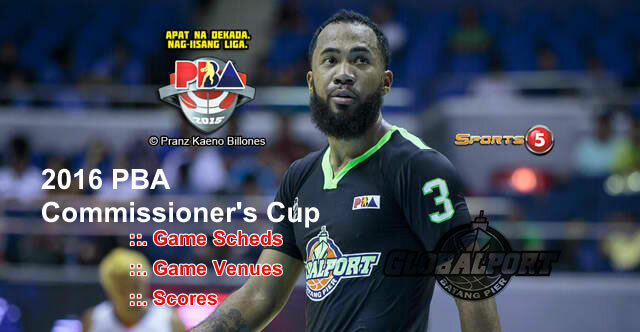 The table below contains the list of all the games that the GlobalPort Batang Pier will play for the 2016 PBA Commissioner's Cup elimination round, quarterfinal, semifinal, and final round. During the elimination round there will be a total of 66 games. Also included on the list are the time, date, venue, opposing teams, and the scores. Please refer to the list below for more details.